Purple spotted orchid, originally uploaded by DianthusMoon. This is a gorgeous spotted orchid I photographed at Longwood Gardens. Right now their annual Orchid Show is going on and I need to high tail it over there and take some new photos. I have until the end of March, and I am waiting on a nice week day when it isn’t as crowded and I plan to go a few times (I have a pass). I’m just fascinated by orchids. I have about 3 and when they decide to bloom, they bloom at least a month or more. Those really are beautiful. 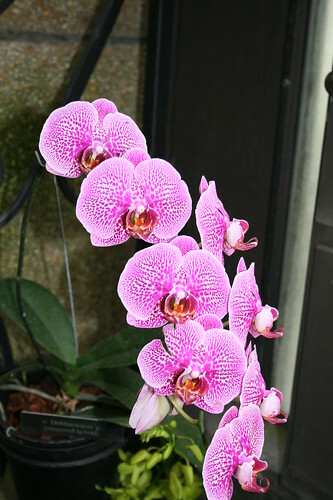 I love the delicacy of orchids. Certainly another interesting theme with lots of different takes. I’m glad I came and saw yours. Beautiful orchids with “spots!” Perfect find!